Carl Marsh talks with the musical legend that is Peter Hook. 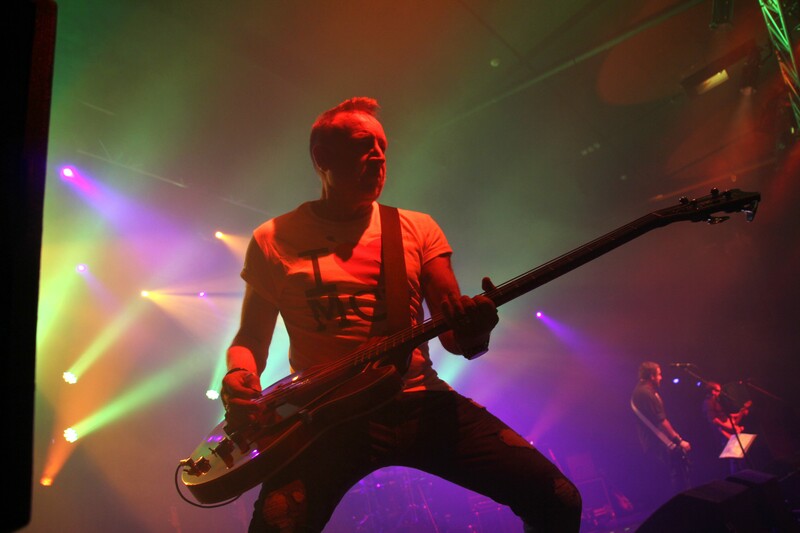 He is touring with his band Peter Hook & The Light at the Tramshed in Cardiff on the 23rd February. You will know that he was in Joy Division and New Order, and he will be playing tracks from two New Order albums called Technique and Republic, while he may get to do a few Joy Division ones also. Your new tour will be having you perform the New Order albums Technique and Republic, and maybe a little bit of Joy Division, what was the reasoning behind doing this? What happened was the boys in the band are so good that basically, once we add an LP to our repertoire, we can play all of them. So if somebody asks us for any LP that we have played, then we can actually brush it up and play it. Some gigs we do (tracks from) Substance, some gigs we do Technique and Republic. My aim was to find a gimmick that was to play the music, in full, because a lot of the music, and especially what New Order did on an LP, has never been played live. So it’s actually a nice way of doing it, and my ambition is to play every track that’s ever been written and recorded by both Joy Division and New Order. Now, I’ve done it with Joy Division, I’ve done every track, and now I’m well on my way with New Order. So it will be nice when they nail the coffin lid shut, at least I’ve played them all again! I don’t know what good it did me but, I did it. What about Monaco, Freebase, Revenge and the other bands you’ve been in, will you be doing the same thing, at some point? I know it’s been well documented about the early days of Factory Records and The Haçienda nightclub in Manchester and all the money that was lost every time a 12-inch copy of Blue Monday was sold, something like 50 pence for every copy! You know what, I always recall Peter Saville telling me that it was absolute rubbish and that didn’t happen (with Blue Monday). And I’d say to him “Why didn’t it happen?” And he would say that it was actually 40 pence! (laughs) – Yet it’s the same difference, we still lost money on it! It was like he thought the point was of ‘how much money you lost’, but there you go. You must have made money on future re-releases of that track? Factory (Records) never really accounted to us the whole time that we were with the record company, so we never really knew what was going on. Also, when we got done in the tax investigation, what Factory did was rather than give us the money that we’d earned, they put it straight into The Haçienda and said: “there’s your money”! And you’re not allowed to do that by law, it’s fraud, so by doing that, they messed us over even more because we ended up with the biggest tax fine of any group, in the history of music! So it was just a catalogue of errors right up until when we went bankrupt.